Develop hotels, factories or supermarkets! Trade Mania 2 is rated 4.1 out of 5 by 50. Rated 5 out of 5 by graceland9 from SO addictive What keeps me playing this game? 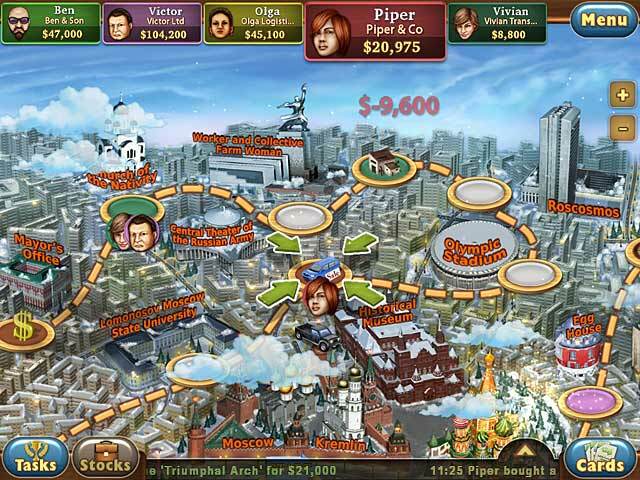 It's a basic roll the dice, move your mice type, but it's just so addictive to rack up cash and beat your competitors. You start with a small car and a certain amount of cash. 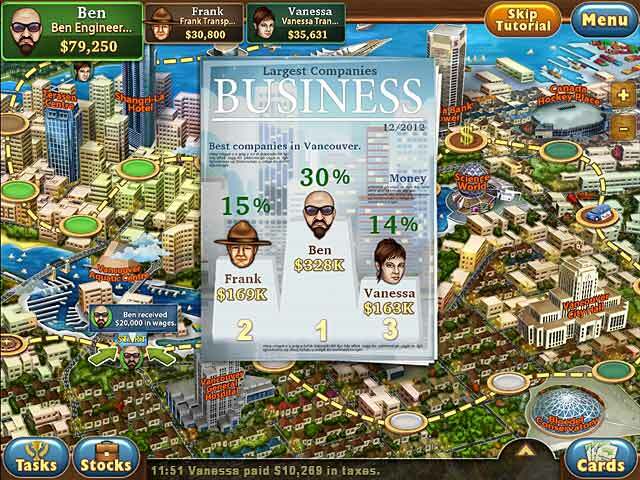 As you move around the board, you can buy properties and trade products all over the city. If you buy low and sell high, you can make lots of money and gain more properties. Along the way, you upgrade your car, stay out of the hospital, and avoid paying taxes. You also try to bankrupt your opponents OR invest in their business in a hostile takeover. There's the option to buy medical insurance, extra moves (very important as rent rates soar) and discounts for products. You can also build hotels, factories, and supermarkets on your blocks to continue making lots of money. I'm not the cutthroat type, but there's something just so satisfying about winning out over other players, even if they're virtual. Once I started playing this game, I couldn't stop. Rated 5 out of 5 by Arjuna12 from If you like Monopoly, you will probably love this too I like this game better than the PC version of Monopoly. You can buy properties. You can build hotels, factories or supermarkets right away, if you come to your plot of land again - and have the money, of course. Others have to pay rent when they land on your property.To help you with your gameplay and defeat your competitors you can buy several different cards. 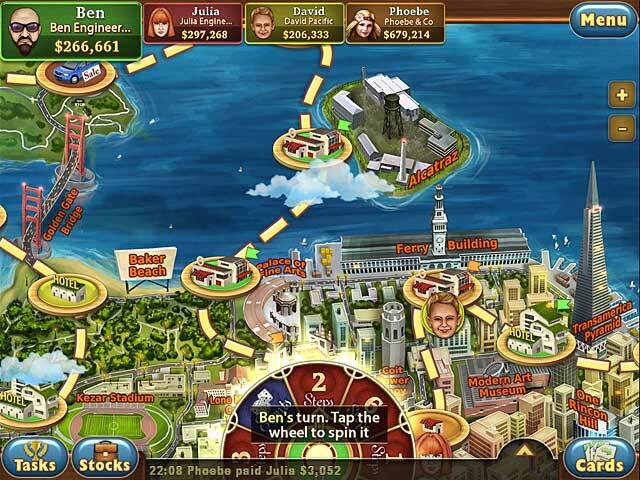 And you can help your cash income with transporting goods from one plot to another or play roulette in the casino. It's a fun game, even if the beginning of a level might be a bit hard. I can't tell much about the soundtrack, cause I always turn off the sounds. Rated 5 out of 5 by ATOMOTA from Way more strategy than you would think. You play against 2, 3 or 4 opponents and in three different cities. Time ranges from under an hour to about 3 hours. Almost every time you play you start in the hole and have to catch up. That is the big difference from monopoly where you just can't get back in the game. I read several negative reviews and the people didn't use strategy or did not figure out how the game is played. I have played over 100 times and still enjoy the game. Ihave never lost and wish the computer players were tougher although I feel like they are going to get me each time. That's what makes it fun. You have to work to win and choose your options wisely. Rated 5 out of 5 by AlbertaPamela from I am hooked! After playing Trade Mania 2 a few times, I fell in love with it and keep playing it over. I tried playing the original yesterday and it was so boring compared to this new version, that I deleted the original from my computer! This new version has so many more options, including buying out your competition and you do not lose a turn on Events. Rated 5 out of 5 by SimplyLucy from It's Like Monopoly On Steroids! I loved the first Trade Mania. But Trade Mania 2 is so much better. 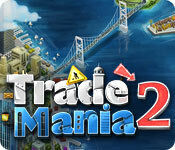 If you've ever played and love Monopoly, you'll find Trade Mania 2 far more challenging and fun. Fast paced and highly addictive, with good graphic and sound. This game really rocks! Rated 5 out of 5 by emsfox from GREAT GAME Keeps you very entertained. You really have to think about the trading strategy. Rated 5 out of 5 by TinyBob from Love this game I bought this game at full price and I still enjoy playing it. Rated 5 out of 5 by riteshdhruv from BEST MONOPOLY GAME Its the best business game and play for hours time will go on.